We are pleased that so many of you were able to join us in Chicago April 4-7th for our 2013 Annual Conference. 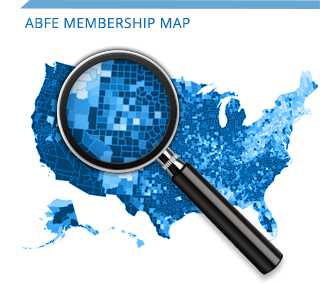 In this edition of ABFE News and Updates, we share a few highlights of our time. This year’s conference theme, Innovation +Investment=Impact, was not about a call for new ideas to support our community. Rather, it was a call for new ways of working in the philanthropic sector to advance our collective agenda and our sessions provided participants with many ideas. One example was perfectly illustrated in our Opening Plenary, Comprehensive Community Development in a Time of Need, led in part by Aurie Pennick (Field Foundation), Trabian Shorters (Knight Foundation) and Leon Caldwell (Annie E. Casey Foundation). This session reminded us that a path forward to address the issues we face in our community lies in the strength and contributions of our community. Namely that investments that build on collective responsibility, self help and cultural pride, along with those that address the systemic exclusion of Black people and communities of color from opportunity and advantage, are good investments to make. Again, these aren’t new ideas – but how foundations invest in them requires new thinking. In this issue are highlights from other sessions on the notions of philanthropic innovation. We also call your attention to an important activity that occurred after we officially adjourned – a meeting of, and pledge of action taken by, Foundation CEO’s on the status of Men and Boys of Color. This convening was led by ABFE’s 2013 James Joseph Lecture, Dr. Robert Ross, President & CEO of The California Endowment. Never before do I recall such a public pledge taken by an esteemed group of foundation leaders, specifically on issues of race. Similarly, the ideas discussed at the meeting were not new; but the sheer possibility of taking this on with the full weight of some of the largest foundations in this country is new. Now that is innovation!!! In the coming months, look forward to our continued work to: 1) build competency in the field on responsive philanthropy in Black communities and advancing racial equity — the promising “pledge” cited above cannot succeed without doing so; 2) support foundation leaders in their advocacy work; 3) expand our membership to include Black donors and civic organizations that invest in Black communities; 4) extend opportunities to Black businesses to work in the sector; and 5) track and monitor the diversity and spending patterns of foundations as they relate to Black communities. We believe this mix of activities – some old and some new – can lead to innovation in the field. ABFE arrived in Chicago with a sense of urgency; we left the windy city with renewed energy and a pledge to work together. For that – simply put – we thank you.